The New Year is upon us and I am excited about the coming year! 2011 begins much differently than 2010 did. Our family has been so richly blessed in 2010 and we are so eager to see how God will continue to work in our lives. 2010 has been a banner year here at the blog. A lot of topics were discussed and I expect more of the same in 2011. I must admit to being a bit surprised at the number of posts. The comments were also an added treat. I see the number of visits to the various pages but visitors were kind enough to begin sharing their own thoughts. A development for which I am grateful. I did not have a great deal to say about the economy in 2010 but may spend a few more posts in 2011 commenting on the data as it is released. With me being a bit of a numbers nerd this should come as no surprise. Rest assured these posts will be notably infrequent. If you have a topic suggestion, please feel free to let me know. In January, I plan on spending time discussing the Apostle Paul's letters and his theology. I will also post a thorough family update as well as the outlook for school. I have been on the fence about the number of classes I will be taking but think I have arrived at a decision. I will share that as well. I am grateful for each of my readers. Your participation with my humble blog has been a blessing to me this year! I covet your prayers and ask for God's hand of blessing on your lives daily. I am looking forward to 2011 and hope each of you are as well. Erickson describes two types of evil: natural evil that does not involve human willing or acting and moral evil that does involve the choice and action of free moral agents. The problem of evil, as Dr. Mitchell points out in the video lecture for lesson 19, has keep many a person from believing in God. Before discussing three common solutions to the problem of evil, Erickson warns his readers not to set our expectations to high in attempting to deal with the problem of evil in the world. Sound advice! Is man free or is God sovereign? My answer is yes! For me, this continues to be one of the great mysteries of God. Of course God is sovereign and knows all. However, evil does exist in the world. In order for man to have free will, the possibility of evil must exist though we know God is not the author of confusion (1 Cor. 14:33). This is a question I have pondered for many, many years. Both Augustine and Pelagius believed in the free will of man though both understood it differently. For Augustine, man was free to sin or not to sin PRIOR to the fall. After the fall, man’s freedom was limited to differing choices that all include sin. In fact, the only choices unavailable to man are not to sin and acceptance of grace. From the fall, man inherits not only the tendency to sin but the inability to choose God. Salvation was something man could not achieve on his own and was only due to the grace of God. Augustine saw mankind in possession of free agency but unable to change our choices and motives aside from the irresistible grace of God. This unmerited grace for those predestined to receive it also empowered the elect to righteousness. Without God’s grace, salvation is not possible much less holiness. Pelagius strongly disagreed with Augustine’s view of original sin and the free will of man. For Pelagius, the view declared by Augustine demanded more of man than he could render unto God. Pelagius believed that man had the unique privilege of accomplishing the divine will by choice. There is no such thing as original sin nor is there anything in human nature that forces man to sin. It is completely within man’s ability to choose not to sin and therefore achieve holiness. When Pelagius refers to grace, he usually means man’s free will. Grace is simply an external aid provided by God. González, Justo L. The Story of Christianity Vol 1: The Early Church to the Dawn of the Reformation. (New York: HarperCollins Publishers, Inc., 1984), 214-15..
 Elwell, Walter A., ed. Evangelical Dictionary of Theology 2nd Edition. (Grand Rapids: Baker Academic, 2001), 123. Hodge, Charles. Systematic Theology. (Oak Harbor, WA: Logos Research Systems, Inc., 1997), 152. A number of milestones here at the blog. This is my 100th post this year and I wanted to make sure it was something special (at least to me!) so here goes. The journey I began in the fall of 2008 has reached a milestone. With the completion of my most recent class I have reached the halfway point in my degree program. My regular readers know I am pursuing a Master of Religious Education. It is a 60 hour program of study with a very challenging, robust curriculum. I couldn't be happier with the quality of the instruction and the high standards each class has adhered to. When I was considering where I would pursue the education to prepare me for the work the Lord has for me in the future, there were many considerations. For me, with two young children, a secular career, and a wife with a thriving career herself, flexibility was a key component. While Liberty's online program is flexible, students must be disciplined with their time management. Quality of education is also very important. I have found each class to be relevant to my program of study and appropriately challenging. The program demands a high level of scholarship on the part of students if a good grade is to be earned. In my experience, nothing is taken for granted. If an education like this interests you, feel free to send me an e-mail with any questions you may have. If you choose Liberty, you won't be disappointed! Pipes, Jerry F,, and Victor Lee. Family to Family: Leaving A Lasting Legacy. Alpharetta, GA: North American Mission Board of the Southern Baptist Convention, 1999. Pipes and Lee, in Family to Family: Leaving a Lasting Legacy seeks to provide parents with a framework for passing a lasting Christian legacy to their children. Of course, they do so with a decidedly conservative underpinning one would expect from Southern Baptist ministers and they make no excuses for doing so. 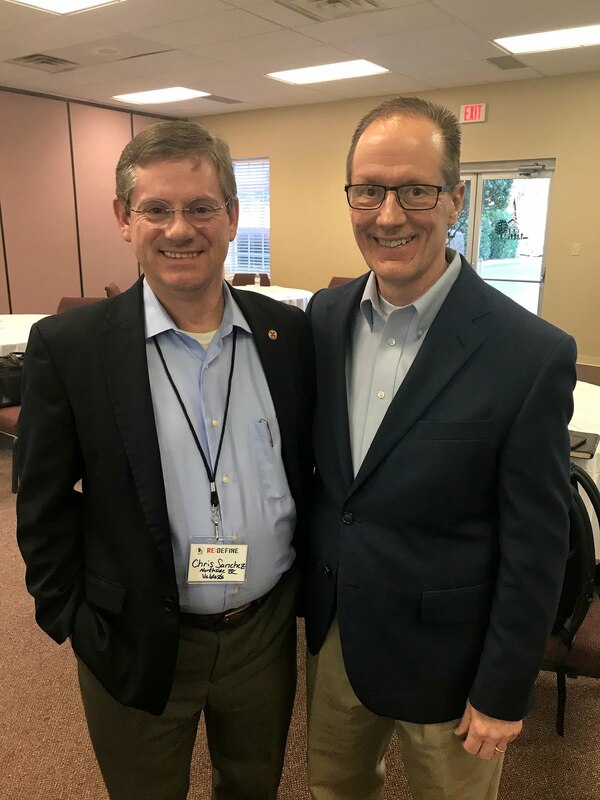 Pipes and Lee lay out a plan in six chapters where parents can pass on their faith to their children and reverse the trend of them leaving the church upon turning 18. Beginning with Healthy Families in Chapter One and concluding with sharing the message in Chapter Six, Pipes and Lee provide and outline filled with helpful tips and ideas on how families can grow closer together and reaches their community and the world for Jesus Christ. Thankfully, Pipes and Lee avoid the temptation to opine at length about the reasons American families are virtual strangers in their homes other than to simple present their observations. Instead, they dedicate the bulk of their book to offering practical steps families can take to first get their own lives back on track and then impact the world around them. At the end of each chapter is a section Pipes and Lee call “Steps to Making it Yours”. Here can be found family readiness questions, family building activities, family applications, and additional resources they suggest to help the family further their growth. Pipes and Lee set the stage by explaining what an unhealthy family is (p. 5-7). With this familiar image in mind, they go on to explain what God intended the family to be and what that looks like in a modern context (p. 8-9). 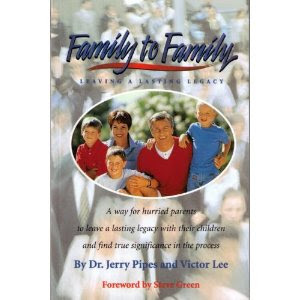 Pipes and Lee readily acknowledge single parent families while emphasizing that they too are accountable to God in raising a family according to the principles laid out in the Bible (p. 9). This is important as they acknowledge that not all families have both parents in the home although that is certainly preferred. Another principle common throughout the book is the parent/s as the example for Godly living for their children (p. 18). Chapter Two centers around creating a family mission statement much like those used in corporate America today. This is curious coming from authors who gently fault the business of American family life for the problems in our families. Nevertheless, Pipes and Lee spend twenty pages fleshing out their concept of the family mission statement. At times sounding more corporate than at others, they painstakingly craft their pitch insisting such a statement provides a centerline for families to come back to (p. 25). It is obvious Pipes and Lee believe this to be an important aspect of strengthening the family. In the third chapter, Pipes and Lee discuss passing on faith in Christ to the next generation. Beginning with children and progressing throughout childhood, Pipes and Lee do a masterful job of instructing their readers on how to lead their children to Christ and how to model their faith for their children (p. 49-50). 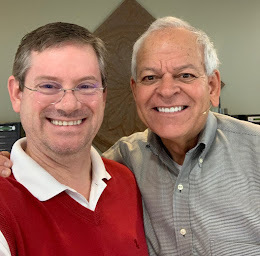 Wisely, Pipes and Lee also focus on mentoring children providing seven key elements (p. 51-58) before concluding the chapter with a discussion of family worship. The next two chapters discuss at length evangelism as a family starting first by urging Christian families to get out of their houses and into the world beginning in their own communities. The importance of prayer (p. 103) and recognizing the work of the Holy Spirit (p. 106) are among the basics of evangelism Pipes and Lee cover. Pipes and Lee set out to provide a help for parents in a modern world that rather successfully strives to occupy nearly every waking moment of our time. Identifying business and selfishness as the root causes for the state of the family today, they offer a solution based on Biblical principles of the family. Though Pipes and Lee do not break any new ground, they certainly accomplish what they set out to offering a book that remains fresh and relevant a decade after it was published. Declaring that adhering to Biblical principles is always in fashion, Pipes and Lee present their arguments logically and support their positions in the most important way possible, with Scripture. One of the key strengths of Family to Family is the “Steps to Making it Yours” section at the end of each chapter. There are many parenting books available on the market that approaches the material from both a secular and Christian perspective. Few of them go to the lengths that Pipes and Lee have to provide actual Family Readiness Questions that are both helpful and relevant to the material covered. The questions are followed by Family Applications which focuses on prayer. Then there are the Family Activities that are designed bring the family closer together as they study the book and work through the material. Scripture verses are suggested that can be used to further the Family Application suggestions. Pipes and Lee then provide suggestions for additional resources such as Rick Warren’s The Purpose Driven Life to further assist the family that is truly working through their book attempting to make a difference in their family life. A weakness in the approach that Pipes and Lee suggest is lies in that the overused mission statement should be adopted by the family. As with the rest of their book, Pipes and Lee articulate their arguments in a clear and logical fashion. With stories from history such as the legacies of Jonathan Edwards and the Jukes, an infamous crime family (p. 24), to more personal stories likes that of Raymond and Christy (p. 25-26) and Henry Blackaby (p. 26-27), Pipes and Lee demonstrate their passion for the importance they place on the idea of families adopting a mission statement. Pipes and Lee shamelessly adopt this corporate mainstay. While there are certainly business aspects to modern ministry including evangelism, ministry is not a business endeavor. These similarities arise out of necessity for reasons mostly related to the tax code. It is the opinion of this seminarian that treating ministry the same as a for-profit business is a mistake. Bringing business principles and methods from the corporate boardroom into the family’s living room is also a mistake. There is more to raising a family and passing on the faith of the parents to their children than a brief statement of purpose. There is something to be said for clearly communicating the family’s core values to the next generation. However, once the approaches of the business world enter the family environment, at what point do limits begin to be placed? Perhaps suggesting the use of business practices in the home stems from the growing trend of American churches to emulate the business community. The suggested use of mission statements notwithstanding, parents and future parents will benefit from reading Family to Family. 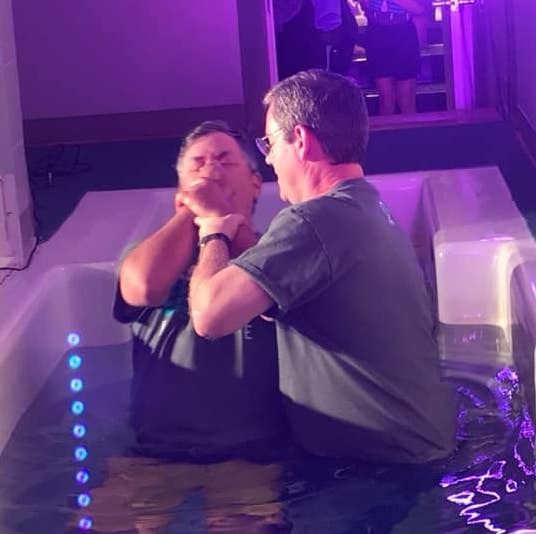 From providing a very good definition of a healthy family to passing on faith in Christ to the next generation to urging families to reach their communities for Christ, Pipes and Lee provide a workable plan for those who would choose to follow their suggestions. It should be noted that both Pipes and Lee come from the Southern Baptist tradition. They make no effort to downplay their respective theological backgrounds nor do they do anything to bring attention to it. Readers will immediately realize the authors have written a book from a Christian worldview though Pipes’ and Lee’s writing style is inviting to believers and non-believers alike. Those who enjoy books written from such a position will likely enjoy Family to Family. The word of God goes out and does not return void (Isaiah 55:11) and Family to Family keeps the word of God at the core of each chapter and concept Pipes and Lee develop. The family that fully embraces the suggestions put forth by Pipes and Lee will very likely be drawn closer together. Those parents should expect to successfully pass their faith on to their children and also have an impact for Christ in their community and beyond. This should not come as a surprise but rather ought to be expected. The focus of the approach suggested by Pipes and Lee is based on sound Biblical principles and prayer. With God clearly at the center of any plan, failure is unlikely. The term theology is derived from the Greek words theos (meaning God) and logos (meaning speech or reason). B. B. Warfield’s short definition was simply: “Theology is the science of God and his relationship to man and the world.” Dr. Charles Ryrie states: “Theology simply means thinking about God and expressing those thoughts in some way.” Christian theology is Biblical meaning that it is primarily based on the canonical Scriptures of the Old and New Testaments. That certainly should not be taken to mean that the Scriptures are not viewed critically. I believe a critical view is very important for good exegesis but that is a topic for another post. Systematic theology, more fully defined is the discipline that presents a coherent or harmonious view of the entirety of Biblical truth relating the various books to one another rather than simply using individual texts isolated from one another. Systematic theology then applies those truths the lives of people. Systematic theology is contemporary thus prompting the need for each generation to develop its own. Systematic theology can be said to summarize doctrine as it should be understood by present-day Christians. Biblical truth certainly does not change but the application of that truth in a dynamic, changing world is vital. Systematic theology is but one approach to theology. Others include biblical, historical, and philosophical theology. Biblical theology concerns itself with the progressive revelation of God’s word recognizing that God did not reveal Himself all at once but rather over a long period of time through many different people. Biblical theology pays attention to the lives of the writers and how they and those who received their writings understood them in their time. Systematic theology makes use of Biblical theology and often builds on the results. Historical theology is concerned with what those who studied the Bible in the past thought of the teachings. This can be individually or collectively. Historical theology helps the Bible student of today reach their own understanding of God’s truths by knowing how the contributions and even the mistakes made in the history of the church. Philosophical theology provides a method of critically analyzing the Biblical text, Christian insights, doctrines, etc. For the Christian, the philosophical theology helps us understand the Bible as it understands itself (no small feat!) and also serves (at times) to aid the theologian in proving the points in his/her particular theology. Walter A. Elwell, ed. Evangelical Dictionary of Theology 2nd Edition. (Grand Rapids: Baker Academic, 2001), 1162. Ryrie, Charles C. Basic Theology. (Chicago: Moody Publishers, 1986, 1999), 9. Erickson, MIllard J. Christian Theology 2nd Edition. (Grand Rapids: Baker Academic, 1998), 22-23. Grudem, Wayne. Systematic Theology: An Introduction to Biblical Doctrine. (Grand Rapids: Zondervan, 1994),22-23. The Pharisees, like all intertestamental Jewish groups, never questioned the sanctity of the written law. The Pharisees did have their own traditions which were distinct from the Sadducees and Essenes. The Pharisees held to both the written law and oral traditions. These traditions were also known as hedges or fences around the written law. This oral law included their traditional interpretations, applications, and expansions of the written law and was believed to be divinely inspired. Other noteworthy details about the Pharisees are their belief in angels, spirits, other heavenly beings, the resurrection, the respect they showed their elders, and their influence throughout the land of Israel. 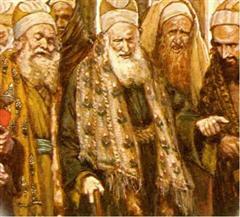 Like the Pharisees, the Sadducees did not question the sanctity of the written law. This small group, containing some very influential men, is described by Josephus as boorish, rude, and argumentative to each other and to aliens. The Sadducees had the confidence of the wealthy of their day but lacked such confidence with the larger population. That situation forced the Sadducees to follow the formulas of the Pharisees when exercising their office. The Sadducees did not believe in angels or spirits. They did not believe in life after death or the resurrection. The Sadducees did not believe that the oral law as practiced by the Pharisees was of divine origin though it would seem the Sadducees did have traditions of their own. Scott states that the Sadducees were essentially secularists (pp. 208). The Essenes are not mentioned in the New Testament and appear to have had no marked influence on intertestamental Judaism. From the limited knowledge available about the Essenes, they were known to be communal in their living with all property, goods, money and wages were placed in a central treasury for the use of all in the community. Essenes stressed the observance of the law with an interpretation and practice that were much stricter than other known Jewish groups of the day. The Essenes placed a strong emphasis on maintaining Levitical purity as part of their extremely modest lifestyle. The Essenes did send offerings to the temple but did not sacrifice there nor did they accept the Pharisees’ control of the temple as legitimate. Each group has beliefs I agree with and disagree with. For example, I agree with the Pharisees belief in angels and spirits. I disagree with the Pharisees belief that they can add their own traditions and expansions to God’s word. I most strongly disagree with calling those additions divinely inspired! Like the Sadducees, I am literalistic with scripture though as such I fail to understand how the Sadducees came to believe that God should be excluded from human affairs. With the current state of affairs in the world today, it is tempting to separate from most of the world like the Essenes and devote more time to the study of God’s word in an environment filled with like-minded people. Alas, how is a lost and dying world to come to a saving faith in Jesus Christ if we lock ourselves away? Much to the displeasure of the Sadducees, the Pharisees controlled the temple. The Pharisees had the confidence of the populous at-large and were on better terms with the Romans. The advantages and disadvantages of having four Gospels instead of one single Gospel abound. One advantage of having four gospels includes the stereoscopic depth that would otherwise be missing. In the case of the Synoptic Gospels, much of the material found in one of the Gospels is found in the others. Still, without each of the four Gospels, the picture we have today of Jesus Christ, His ministry, and the early Christian church would be lacking the vividness and completeness we know today. From Matthew’s appreciation for the links between the old covenant and the new and Mark’s quick movement though the action-oriented nature of Jesus’ daily ministry to Luke’s detailed historical survey of the life of Christ and John’s omission of some common details and inclusion of scarce details, the total portrait is more complete and much richer than possible otherwise. This is not to minimize the Synoptic Problem and other differences found in the four Gospel accounts. The chief disadvantage to having four Gospels lay not in the fact that we have them but rather in the confusion that can surround their relationships with each other. The casual observer can misunderstand this relationship and the average Christian, unfortunately, is ill-equipped to provide a thorough explanation. With so much disagreement over Gospel priority, dating, and even authorship, it is not surprising that confusion exists. 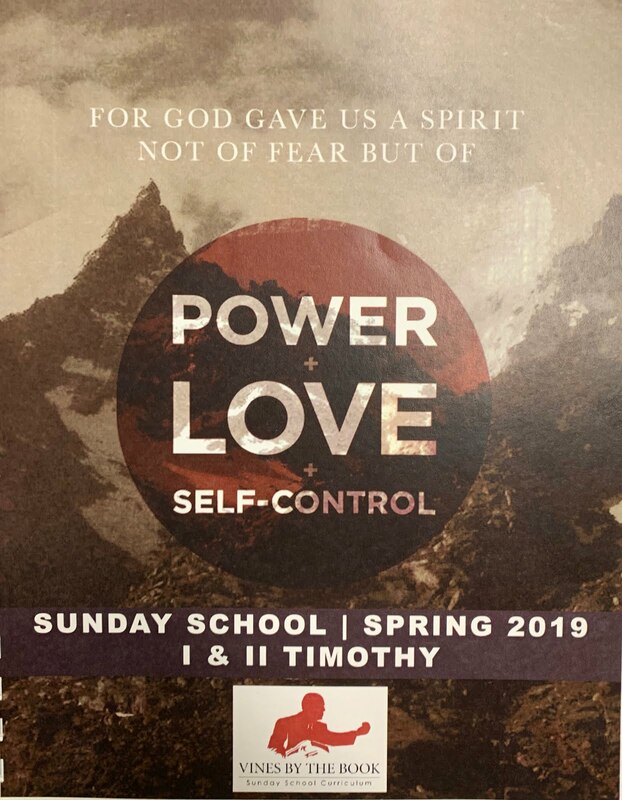 Given the difficulty of the issues, there is little wonder that such topics are rarely covered from church pulpits and in discipleship classes. A sincere question about how to distinguish between the words of Jesus and the opinions of the early church is fair and the average Christian should be able to answer this type of question. If by the question it is meant that there are some things in the canonical Gospels that contemporary scholars believe were not in the original documents, the best way to address this is head on with a firm acknowledgement of the possibility. There are instances such as Mark 16 verses 9-20, known as the long ending, that contemporary scholarship believes are not part of Mark’s original Gospel account. My best advice to a sincere question about such discernment is to seek the answers in prayer. After nearly two thousand years of scholarship on the topic, it is my belief that the answer can only be revealed through the guidance of the Holy Spirit. Carson, D A, and Douglas J Moo. An Introduction To The New Testament. Grand Rapids: Zondervan, 2005. My regular readers know I don't hit politics very often but I have a brief rant I need to get out of my system. Please indulge me! The recent election cycle having just ended, you would think we would be free from the constant barrage from the politicians in the media. Alas, even the holiday season cannot stop the partisanship and jockeying for position in the public consciousness. Christmas is almost upon us and Republicans and Democrats are content to squabble rather publically. Ladies and gentlemen in the Congress, clearly you did not get the message from the recent election. Please allow me to clarify a few things for you! We the people are sick of the business as usual approach you have insisted on adhering to for decades. We are tired of you being opposed to an idea simply because it came from a member of the other party. We are tired of gridlock and nothing meaningful getting done. You spend far too much money and yet can’t do the simple math that American families do each month to ensure the bills get paid. This kitchen table math isn’t really complicated. Don’t spend more than you have and don’t borrow money unless you absolutely have to. Politicians at the state and local levels seem to understand this. However, there is a mysterious illness that inflicts those who are elected to the US Congress. I am eager for the next several election cycles to come. I am hopeful that a trend was started in the 2010 midterms that sees more and more incumbents sent home and replaced with new politicians who are actually listening to the will of the American people. The only way to change the political discourse in Washington DC is to change the people. 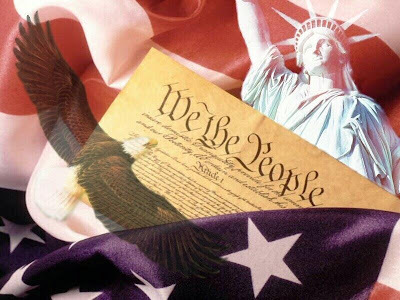 If we must endure the seemingly endless barrage of political hogwash from our nation’s capital then let us do so with an eye to the next group of career politicians that will be replaced in 23 months!